Issues related to behavioral and mental health have received a lot of attention lately and rightly so. With an aging population comes cases of dementia or other illnesses that can cause a decline in a person’s mental acuity, which can affect their overall behavioral health. The key for better patient outcomes is a thorough collaboration of care between patients, caregivers, and care facilities. The challenge to achieve such a level of collaboration is generating awareness and education about the importance of keeping and sharing accurate electronic medical records. Many patients with behavioral health illnesses may not be aware that documents like dementia directives and psychiatric advance directives are available to them. And if they learn early enough about such documentation, they can take better advantage of them to make their care preferences in these situations known. Care Directives’ Advance Directive Information Exchange (ADiE) allows patients to take their behavioral health treatments into their own hands. 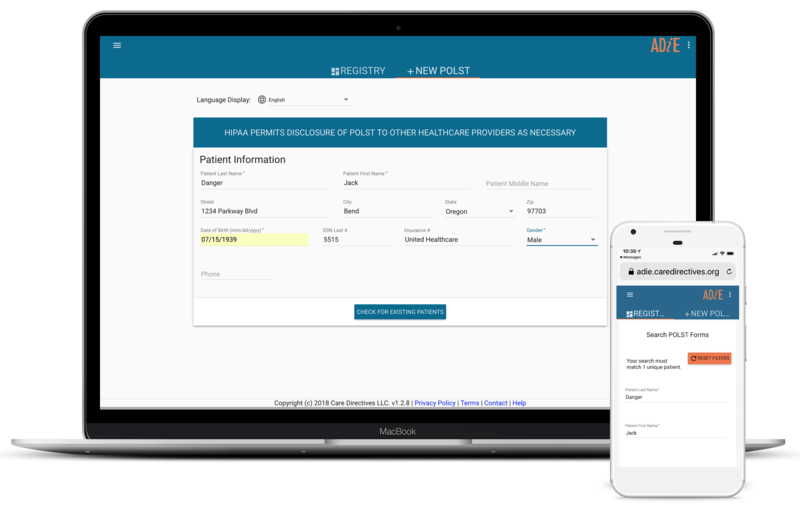 The solution lets patients plan for these illnesses by recording dementia directives, psychiatric advance directives, online medical directives, legal directives, and other advance care planning documents. These documents can then be easily shared, along with patients’ medical records, at each point in the care continuum. Plus, behavioral caregivers access patients’ requests in real-time and integrate them into their existing workflows.